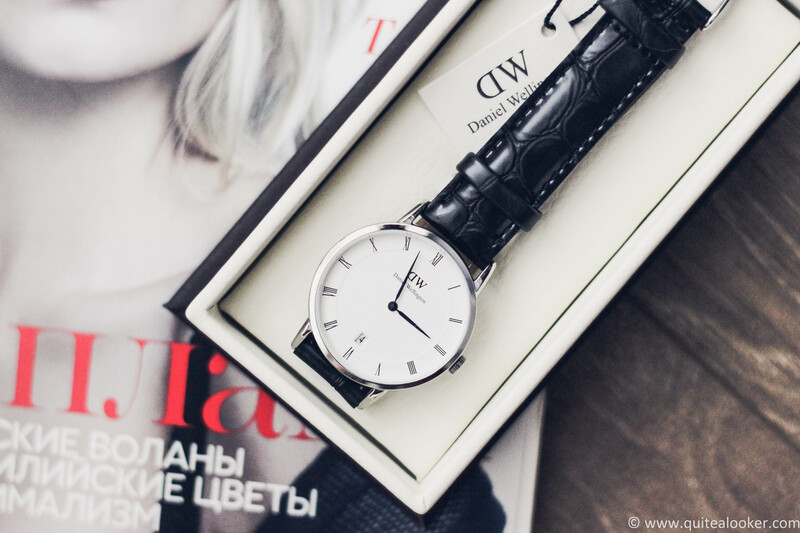 As you already know, I’m a big fan of the Swedish watch brand Daniel Wellington, mainly due to their minimalistic and elegant designs. I’m sharing with you yet another addition to my beloved wrist watch collection – the 34mm Dapper Reading. I opted for the silver case version, together with a black leather strap with an interesting crocodile pattern. This design slightly differs from the classic ones by the brand – the dial has Roman numerals, a date display and blue hands to show the time. These tiny but memorable details make the watch a great addition to any outfit, regardless of the occasion. I’m sure I’ll be wearing it a lot these upcoming months! Happy shopping and don’t forget that the delivery is free of charge worldwide!! ПРОЧЕТЕТЕ ТОЗИ ПОСТ НА БЪЛГАРСКИ ТУК.